Facebook allows you to not only have friends that can see all of what's posted on your timeline, but lets you subscribe to others that may not be your friends. Only public posts will be viewable to those people. 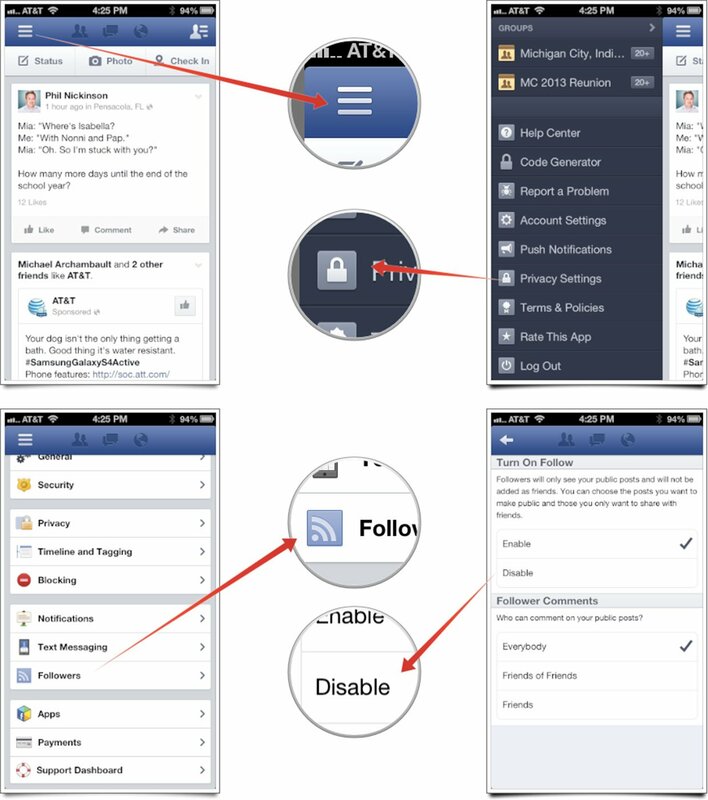 Launch the Facebook app from the Home screen of your iPhone or iPad. Tap on the menu icon in the upper left hand corner. Scroll down to the bottom of the menu and tap on Privacy Settings. From the Privacy Settings Menu, tap on Followers. In this section, you can choose to enable disable followers all together as well as tweak whether or not they can comment on your posts. That's all there is to it. Just disable followers if you don't want people that aren't your friends being able to access your content in their timeline. If you're okay with that but just don't want them to be able to comment on any of it, just edit those settings instead.